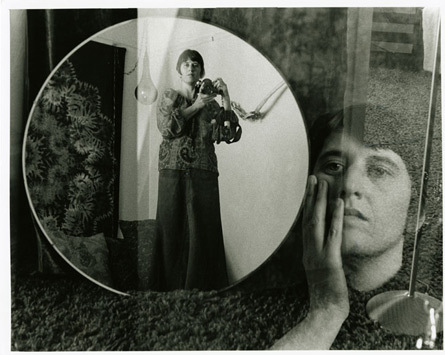 Tee Corrine, Self-portrait, Gelatin silver print, 1980. Press photo courtesy of Leslie-Lohman Gallery. Lesbians Seeing Lesbians: building community in early feminist photography focuses on three of the most prominent photographers of this early generation: Tee A. Corrine (1943-2006: St. Petersburg, Florida), JEB (Joan E. Biren, b.1944: Washington D.C.), and Cathy Cade (b.1942: Honolulu, Hawaii). In addition, this exhibition pays tribute to these pioneering women by showing work of contemporary lesbian photographers including Catherine Opie and Cass Bird that engages and reworks their founding vision in contemporary lesbian life. This exhibition also includes key documents of the lesbian feminist and lesbian separatist movements.